This focal geography covers the area from the Uraba Gulf in Colombia, where the Isthmus of Panama joins South America, along the Caribbean coast to the northeastern tip of Brazil, at Natal in Rio Grande do Norte State. 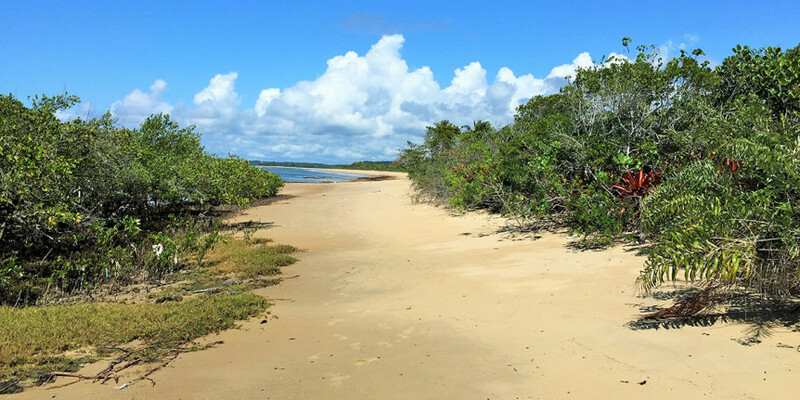 Mangrove forests dominate the coastline east from the Isthmus with estuaries, coastal lagoons and sandy beaches, and nearshore. Northern South America represents the most important wintering area in South America for focal species such as Whimbrel, Greater and Lesser Yellowlegs, Ruddy Turnstone and Semipalmated Sandpiper, in addition to Black-bellied Plover, Short-billed Dowitcher, Red Knot, and Willet. This focal geography also supports small numbers of beach nesting shorebirds, including resident populations of American Oystercatcher, Snowy Plover and Wilson’s Plover. Threats to shorebirds in Northern South America include commercial, industrial, and residential development; incompatible coastal engineering; agriculture, human disturbance; pollution; predation of eggs, chicks, and adults from elevated numbers of native, non-native, and domestic predators; and, incompatible management practices. A particularly significant threat in this geography is illegal and unsustainable hunting of some species.